Q What experience do they have? A Find out how long the planner has been in practice and the number and types of companies with which they have been associated. Ask the planner to briefly describe their work experience and how it relates to their cur rent practice. Choose a financial planner who has experience counselling individuals on their financial needs. Q What are their qualifications? A The term “financial planner” is used by many financial professionals practitioners. Ask the planner what qualifies him to offer financial planning advice and whether he is recognised as a Certified Financial PlannerCM professional. Look for a planner who has proven experience in financial planning topics such as insurance, tax planning, investments, estate planning or retirement planning. Determine what steps the planner takes to stay up to date with changes and developments in the financial planning field. If the planner holds a financial planning designation or certification, check on his background with The Financial Services Authority (FSA) at www.fsa.gov.uk. Q What services do they offer? A The services offered by a financial planner depend on a number of factors including credentials, regulation and areas of expertise. Financial planners cannot advise on insurance or investment products such as unit trusts or shares without proper authorisation from the Financial Services Authority.Some planners offer financial planning advice on a range of topics but do not recommend financial products. Others may provide advice only in specific areas such as estate planning or on tax matters. Q What is their approach to financial planning? A Ask the financial planner about the type of clients and financial situations they typically like to work with. Some planners will help you to develop a comprehensive financial strategy by bringing together all of your financial goals. Others provide advice on specific areas, only as and when required. Make sure the planner has a robust procedure for determining your own attitude towards investment and other risk. Some planners require you to have a particular level of capital and/or income before offering services. Find out if the planner will implement the financial recommendations for you or refer you to others who will do so. Q Will they be the only person working with me? A The financial planner may work with you themselves and/or have others in the office to assist them. You may want to meet everyone who will be working with you. If the planner works with professionals outside his own practice (such as lawyers, or tax specialists) to develop or carry out financial planning recommendations, get a list of their names to check on their backgrounds. Q How will I pay for their services? A As part of your financial planning agreement, the financial planner should clearly tell you in writing how they will be paid for the services to be provided. They should provide you with a menu of alternatives. Fees based on an hourly rate, a flat rate, or on a percentage of your assets and/or income. Any commission received from providers or other third parties may reduce the payment of fees. 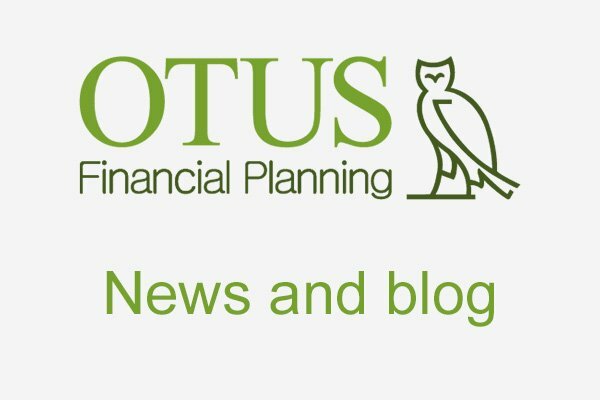 Commissions paid by a third party from the products recommended to you to implement the financial planning recommendations. Commissions are usually a percentage of the amount you invest in a product or relate to the level of regular premium payable. Q How much do they typically charge? A While the amount you pay the planner will depend on your particular needs, the financial planner should be able to provide you with an estimate of possible costs based on the work to be performed. Such costs would include the planner’s hourly rates or flat fees or the percentage they would receive as commission on products you may purchase as part of the financial planning recommendations. Q Could anyone besides me benefit from their recommendations? A Some business relationships or partnerships that a planner has could affect their professional judgment while working with you, thus inhibiting the planner from acting in your best interest. Ask the planner to provide you with a description of potential conflicts of interest in writing. For example, financial salespeople who sell insurance policies or investment products have a business relationship with the companies that provide these financial products. The planner may also have relationships or partnerships that should be disclosed to you: for instance, they may receive an introductory fee for referring you to an accountant or solicitor for implementation of planning suggestions. Q Have they ever been publicly disciplined for any unlawful or unethical actions in their professional career? A The FSA keep records on the disciplinary history of financial planners. To check the disciplinary history of a Financial Planner contact the Financial Services Authority, 25 The Colonade, Canary Wharf, London E14 5HS. Q Can I have it in writing? A Ask the planner to provide you with a written agreement that details the services that will be provided. Keep this document in your files for future reference.